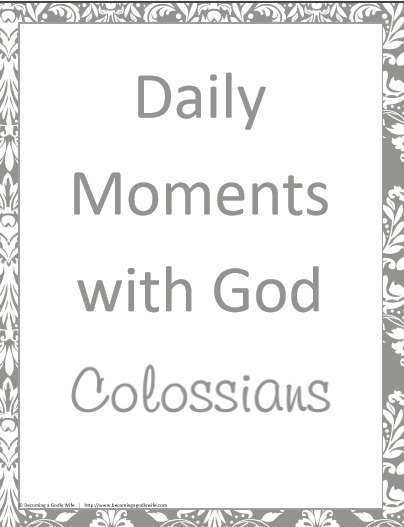 Daily Moments with God is a devotional series that can only be found here. In this packet, you will be digging into the book of Colossians. 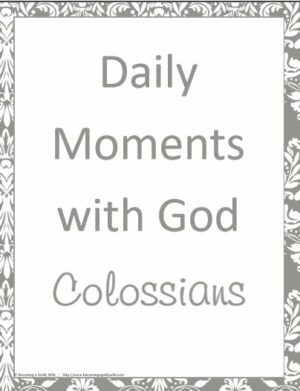 Daily Moments with God is a devotional series that can only be found here. In this packet, you will be digging into the book of Colossians. 31 days worth of verses, prayers and places for you to add your own thoughts about the reading and prayers.